We are now providing service in and around the St. Louis County, St. Charles County, Jefferson County, and Franklin County. Many people believe that dog waste is a fertilizer and will eventually be absorbed by the lawn. The average dog leaves 2 to 3 piles a day, and can not be absorbed by the yard without leaving yellow spots and damaging your lawn. Here at POOP 911 St. Louis your dog’s #2 is our #1 priority. With our fully automated billing and scheduling system you are only charged for service provided. We offer weekly, bi-weekly, and even monthly service to help keep your yard green and poop free. Our service is guaranteed. If at anytime you are not happy with your service, your next cleaning is FREE! Call St. Louis POOP 911 today to experience more time if your yard with less hassle. St. Louis POOP 911 is now helping families spend more time enjoying their yard in the following cities near St. Louis, Missouri: Affton, Allenton, Antonia, Arnold, Augusta, Ballwin, Barnhart, Beaufort, Bel Nor, Bel Ridge, Bella Villa, Bellefontaine Neighbors, Bellerive, Berger, Berkeley, Beverly Hills, Black Jack, Black Walnut, Breckenridge Hills, Brentwood, Bridgeton, Bridgeton Terrace, Burke City, Byrnes Mill, Calverton Park, Campbellton, Catawissa, Cedar Hill, Charlack, Charles J. Coyle, Chesterfield, Clarkson Valley, Clayton, Clover Bottom. Cottelville, Country Club Hills, Crescent, Crestwood, Creve Coeur, Crystal City, Crystal Lake Park, Dardenne, Dardenne Prairie, De Soto, Defiance, Dellwood, Des Peres, Detmold, Dissen, Dittmer, Earth City, Edmundson, Ellisville, Etlah, Eureka, Femme Osage, Fenton, Ferguson, Festus, Fletcher, Flinthill, Flor, Flordell Hills, Florissant, Foristell, Frontenac, Gerald, Gilmore, Glasgow Village, Glencoe, Glendale, Gray Summit, Greendale, Grover, Grubville, Gumbo, Hanley Hills, Harvester, Hazelwood, Hematite, Herculaneum, High Ridge, Hillsboro, Hoene Spring, Horine, House Springs, Huntleigh, Imperial, Japan, Jennings, Josephville, Kampville, Kampville Beach, Kimmswick, Kinloch, Kirkwood, Labadie, Ladue, Lake Adelle, Lake Chesterfield, Lake St. Louis, Lemay, Leslie, Liguori, Lonedell, Luebbering, Lyon, Machens, Manchester, Mapaville, Maplewood, Maryland Heights, Matson, Mehlville, Moline Acres, Morse Mill, Moselle, Murphy, New Haven, New Melle, Normandy, North County, Northwoods, O Fallon, Oakland, Oakville, Olivette, Olympian Village, Orchard Farm, Otto, Overland, Pacific, Pagedale, Pasadena Hills, Pasadena Park, Pea Ridge, Pevely, Pond, Portage des Sioux, Richmond Heights, Riverview, Robertson, Robertsville, Rock Hill, St. Albans, St. Ann, St. Charles, St. Clair, St. John, St. Louis, St. Paul, St. Peters, Sappington, Schluersburg, Sherman, Shrewsbury, South Shore, Spanish Lake, Spring Bluff, Stanton, Stony Hill, Strain, Sullivan, Sulphur Springs, Sunset Hills, Times Beach, Town and Country, Twin Oaks, Union, University City, Valles Mines, Valley Park, Velda Village Hills, Vigus, Villa Ridge, Vinita Park, Vitilas Reid, Warson Woods, Washington, Webster Groves, Weldon Springs Weldon Springs Heights, Wellston, Wentzville, West Alton, West County, Wildwood, Winchester, Woodson Terrace. Kansas City´s Premier Pooper Scooper Service: Johnson County Cass Jackson Wyandotte & Clay, MO. Residential & Commercial Pet Waste Removal Solutions. Also, Pet Waste Stations & Dog Poop Bags. Kansas City´s Premier Pooper Scooper Service. Dog poop scooping and disposal in Blue Springs Overland Park Fairway Brookside Olathe Lenexa leawood Shawnee Gardner Raymore Belton and Mission. 314-638-8800, Serving St. Louis, Missouri (Clayton Ladue Frontenac Olivette Manchester Kirkwood Glendale Webster Brentwood Shrewsbury Crestwood Afton Oakville Mehlville), since 1994. Tired of stepping out and stepping in it? You love your dog, but you sure don’t love cleaning up his mess in your yard. It’s a nasty job, but somebody has to “doo” it. That “somebody” doesn’t have to be you! Let us do the dirty work and you can wash your hands of the whole mess. 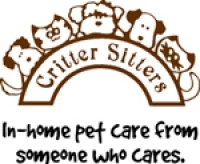 Critter Sitters will come to your house, condo or apartment, and clean up what your dog left behind. We bag it and take it with us when we leave. We can also disinfect and deodorize decks, patios, dog runs and kennels. Paws-n-Claws Petcare is just the business to call if you desire to get and keep your yard in top flight condition regularly cleaned of pet waste lingering around. The company is a full insured and bonded member of the Platte City Chamber of Commerce. They have an "About Us" page as well as a "Policies" page to better get to know both the owners as well as the professional services and practices their current, extensive clientele as come to trust as safe and efficient. Loving pet care and yard cleanliness is what you can expect from both their pet waste removal services as well as their dog walking and pet sitting bookings. Call or email Kristy or Karie through their website please. 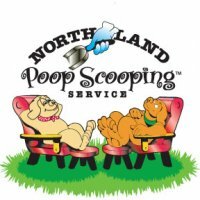 Scoopy the Poo supports pet owner doggy doo needs in the following cities of Missouri: Blue Springs Brookside Grain Valley Grandview Greenwood Independence Lake Lotawana Lake Winnebago Lee’s Summit Plaza and Raytown pet poop cleaning services. Scoopy the Poo is dedicated to making life easier for dogs and their owners by removing the "unpleasant accumulation of pet poop waste" so everyone can enjoy a clean yard throughout the year (every year!.) We believe in providing service that surpasses our clients' expectations through affordable pricing, dependability, client centered communication, and commitment to 100% guaranteed satisfaction of our dog doo cleanup services. Our overall goal is to build a strong relationship with our clients, their dogs, and the MO community as a whole. Give our website a look and then call us today for service. In Missouri, Brookside offers a myriad of complete pet care services for Jackson County, Cass County, and Platte County. Dog care support as well as other animal services including pet waste removal, pet sitting, dog walking, pet taxi service and alot more. Brookside Pet Concierge is a licensed, bonded and insured family owned pet care company. They support the ENTIRE Kansas Metro area. Blue Springs Buckner Grain Valley Grandview Greenwood Independence Kansas City Lake Lotawana Lake Tapawingo Lee´s Summit Levasy Lone Jack Martin City Raytown Sibley Unity Village Archie Austin Belton Cleveland Creighton Drexel East Lynne Camden Point Dearborn Edgerton Farley Ferrelview Iatan Northmoor. Yuckos Pooper Scooper Service Scooping St. Louis & St. Charles Since 1990. Lawn Care For Pet Owners And Some Whom Aren´t..! Let Us Take The Pain Out Of Your Grass. Dogipot Pet Waste Stations and Biodegradable Poop Bags & More..! 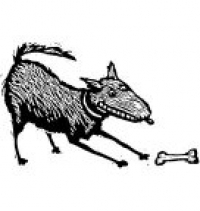 In addition to this company´s long term commitment to dog poop removal in the state of Missouri, they also offer various types of unique dog products. Dog products include full size replica fire hydrants for dog training,lawn signs and more for your dogs. E njoy the freedom and relief from doing such a smelly chore! N o more nasty odors or piles in your yard! T ime available to spend on more pleasant activities like Family! R emoves most chances of salmonella, rodents, rats & hook worms! E njoy a cleaner well groomed yard! M obile service that is fast & friendly! N o more disagreements on who will DOO the dirty work! U ncollected feces contributes to water pollution! R emove the chance of poop on your deck, carpet, shoes & paws! E ncourage others to try us and receive 1 FREE week of waste removal! Serving the entire Kansas City Metro Area. Missouri - Kansas City, Claycomo, Gladstone, Brookside, Grandview, Greenwood, Independence, Lee's Summit, Raymore, Raytown, Riverside, Belton, Blue Springs. EntreMANURE Is A Dog Poop Pickup Services That Specializes In The Routine REsidential Home Maintenance Of Dog Owners Backyards For The Following Cities: Springfield, Republic, Ozark, Rogersville, Willard, And Battlefield, Missouri. 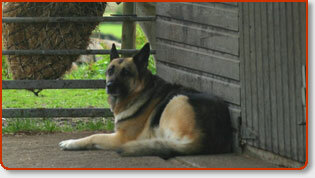 EntreMANURE - We are a professional residential dog waste removal company. Have kept hundreds of yards clean of dog waste on a weekly basis since 1999. Our pricing starting at only $6.00 a week for one dog. Review our website for all the information you need to know. Online signup with no contracts. We look forward in keeping your yard poop free with a smile and fiendly service. We believe in integrity to the core. Monthly billing and credit cards accepted. Professional Dog Poop Pickup Companies in Missouri? Yes! Being a multiple dog owner myself for years, I can attest that picking up poop in my dogs pen week after week, year after year is an ugly chore I’d just assume excuse myself altogether… and forever-thank you. When I get behind on my “pooper scooper” duties (that’s often) around the yard I swear the dogs look at me like I’m some kind of criminal. Dog owners, you know what I am talking about. Well, awhile back my friend informed me that he had discovered and been using a unique pet service he referred to as “dog waste removal” for his pet poop pileup in his yard. He enthusiastically told me that his pooper scooper guy routinely came over to his house and would scoop all his dogs poop every week so he never had to think twice about it again. To make a long story short and less messy, I gave this pooper scooper guy “a go” to take care of my dogs poop as well. After using the service for some time myself, *I* also consider a dog poop pickup service for my own home as an invaluable time saver and headache reliever. I’m now smiling knowing that I no longer have to feel guilty every time I put the chore of picking up my dogs poop off for another day. My dogs tails are wagging in happiness over the extra amount of clean space they can romp in as their dog pen remains dog poop free for a much greater percentage of time. And lastly, my lawn and garden have never looked cleaner and greener. Hey, why do the dirty work when you can just as easily leave it to one of these Missouri pooper scoopers. Not to mention, word around the campfire says these guys “take crap from anyone”. You can be certain of one thing, the Missouri pooper scooper businesses listed here are dedicated and passionate about making your life easier and your relationship with your canine buddies a lot more fun. How? They clean up and remove dog waste (feces) from your property so you don’t have to. As a dog owner, life doesn’t get any better.